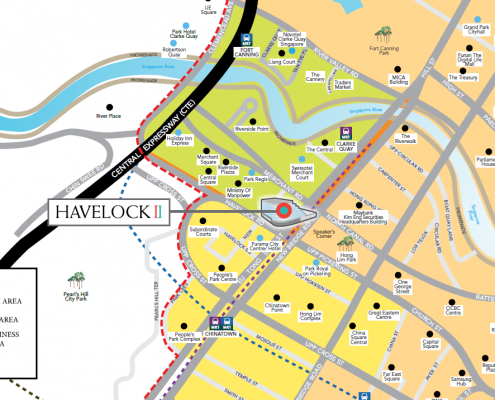 Havelock II sits in an amazing location, prominently located along Havelock main road. 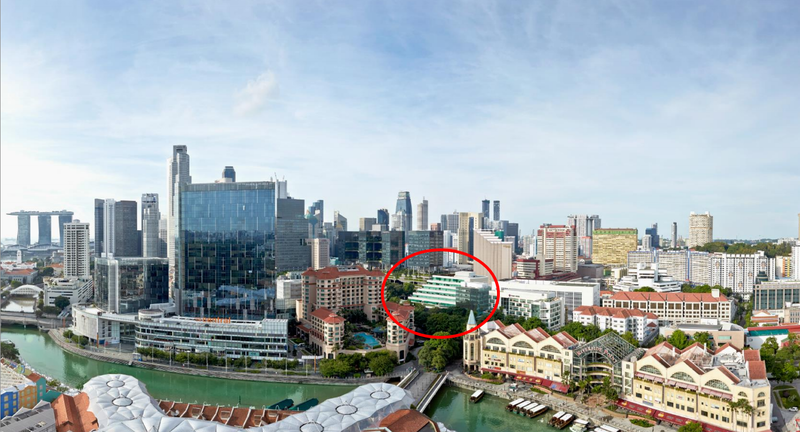 It also has covered access to Clark Quay MRT station with a bus stop right at its door step. With 3 levels of retail shops and just a stone’s throw away from The Central at Clark Quay. Highly accessible, with a shopping mall just close by, this enables your staff to travel and lunch in complete ease. Havelock II also enjoys raised flooring for its units together with efficient layouts plus each unit comes with their own air-conditioning. With the office strata market having a shortage of quality offices available for sale, Havelock II is one of the rare quality projects in the CBD open for sale. 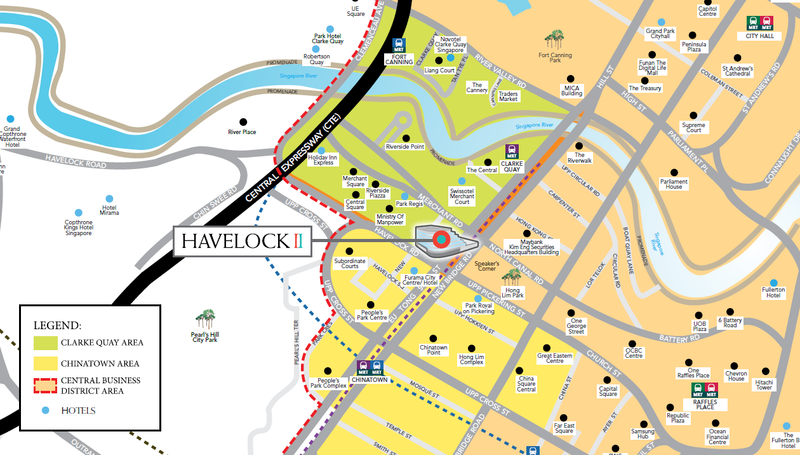 By relocating your business to the Havelock II, you’ll be able to enter a growing business hub, which features many new developments. 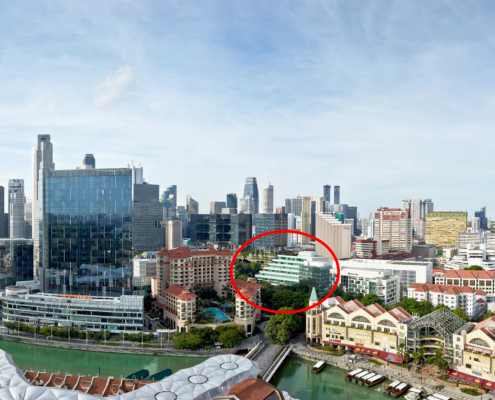 The office space is located between the financial and business center of Singapore, which can give your business access to necessary facilities. Several duty free options are available. There is no Buyer’s Stamp Duty when you invest in this space and foreign ownership is a possibility. 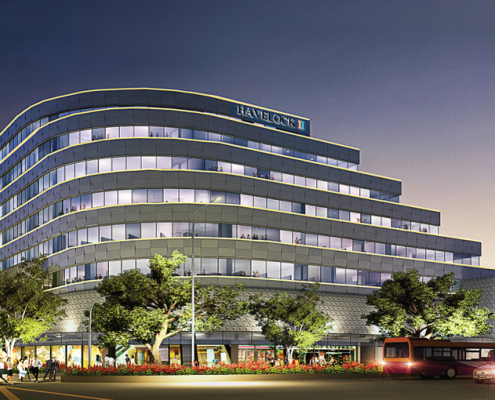 The office space is conveniently close to a few expressways, including the MCE and MRT lines. If you’re intent on walking and taking the MRT, you’ll be able to do so easily. The Chinatown MRT and Clarke Quay MRT stations are nearby and easily accessible. A bus stop is perfectly positioned outside of the office space for even more accessibility and convenience. 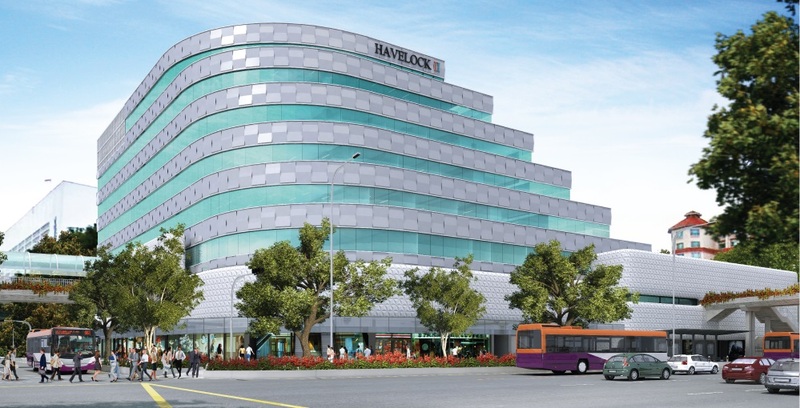 At the Havelock 2, the office spaces are available in a number of different sizes ranging from 312 sq ft to 18,223 sq foot. If an entire floor is required, it is obtainable! A few different layout options are available to choose from. Each unit will have access to the independent air conditioning system, which can provide your employees with comfort throughout the workday and keep them more productive! A comfortable lobby and luxurious office entrance are included. Security will not be a concern at the Havelock 2! The entire complex is under CCTV surveillance twenty-four hours a day and the elevators are fitted with their own security system. For further assurance, each office space is protected by a double-layer sprinkler system. Each office space is blessed with a 75mm raised floor and a false ceiling. Water points and discharge outlets are readily available. For better sound insulation, the windows are double-glazed and fluoro-carbon frames have been utilized. At the moment, there is an assortment of availabilities at the Havelock 2. Does this office space suit your fancy? Be sure to contact us today for more information!